Cynthia Marie (Payne) Napier gained her angel wings on Wednesday, June 27, 2018. She was born April 21, 1970 in Baton Rouge, Louisiana to Mary Ruth Thomas Payne and William J Payne. She was their fourth daughter. Cynthia was a 1989 graduate of Waldron High School. She married John Napier on Oct 2, 1989 and then spent the next four years proudly serving our country in the US Navy. Cynthia was a loving mother, grandmother, sister and aunt. She loved to crochet, she always had a project going on. 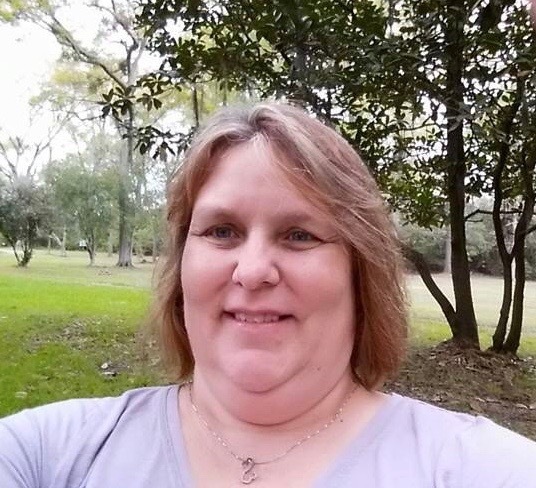 Cynthia leaves behind to cherish her memory, her husband, John Napier of the home, two daughters, Jessica Napier of Waldron, Arkansas and Suezanne and William Redmon of Waldron, Arkansas, 5 grandchildren, Haylie, Aiden, Carter, Isabella and Clayton. She is also survived by two sisters, Christine Payne of Waldron and Patricia and Joe Rainwater of Marshall, Texas, two brothers, Michael and Rosa Payne of Accra, Ghana, Africa and Frank and Julie Hagood of Saltillo, Mississippi, two sep-sisters, Gaydonne and Farrell Nusz of Mustang, Oklahoma and Tasha Zumwalt of Odessa, Texas and numerous nieces and nephews. And all of her Save the Children coworkers. Cynthia will be missed by all that knew her and the many whose lives she impacted including a host of friends, neighbors and loved ones. Cynthia was preceded in death by her mother, Mary Ruth Thomas Hagood, her father, William J Payne, step-mother, Linda Burritt Payne and sister, Marsha Faye Payne. Cynthia's graveside life celebration will be at 10:30 a.m., Monday, July 2, 2018 at the Mt. Pleasant Cemetery in Waldron, Arkansas with Rev. Bobby Cagle and Rev. Philip Scantling officiating. Interment will follow. Arrangements are being entrusted to the Heritage Memorial Funeral Home in Waldron, Arkansas. Cynthia's visitation will be Sunday, July 1, 2018 from 2:00 p.m. until 4:00 p.m. at the Heritage Memorial Funeral Home in Waldron, Arkansas where Cynthia's family will receive friends from 2:00 p.m. until 4:00 p.m.